#welovethenhs is a trending toppic on Twitter. 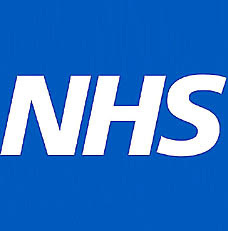 The NHS was established in the period following World War Two. It delivers free universal health care for all. No money...no problem...Yes it some services don't run perfectly and from time to time you have to wait (but rarely too long). In Northern Ireland, 3 months supply of my medication costs 1 prescription which is £3 and from next year its free. I used to work in the service (for 14 yrs) and its staffed by professional caring people from those who serve meals, move patients around, deliver direct patient / client care (Doctors and Nurses, Physiotherapists, Occupational Therapists, Radiographers, Podiatrists, Social Workers, the list goes on and on). Could it be better? Well without a doubt, there are few things which we can't improve upon, but if ur poor and ill in the UK, you have no worries that you must die in pain and agony simply because you havent the medical insurance which only the rich afford. In a recent article in support of the Republicans in the USA, a commentator suggested that the if Prof Stephen Hawking lived in the UK, the NHS would let him die. This is the Prof Hawking, who actually lives in the UK, receives NHS care and is well alive. The GOP / Republican party are amongst the vilest form of human life (or bulldog aka Ms Palin). They are hysterical about Medicare reform, claiming all sorts of nonsense. The Republican party see no votes in poverty, while their bankers and car manufacturers, destroyed billions, they simply call it a market adjustment...that the capitalist way is the only way...and that universal healthcare is socialism. Fundamentally, however, the difference between the systems is psychological. In Britain you worry what will happen when you fall ill; many Americans worry about what will happen if you fall ill. Will your insurance cover you? Often (but not always), yes it will and the best American care probably is better than the best British care, but there's a greater psychological security to the British system. That's probably worth something too. In other words, many Americans find themselves fretting about healthcare even when they're perfectly healthy. That's a psychological burden people in this country (and many others), don't have to worry about.